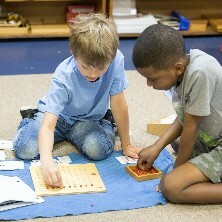 The College Ready program, for high school grades 9 through 12, combines the best of Montessori with conventional work. The College Ready program uses the Houghton Mifflin Harcourt’s curriculum Featuring ScienceFusion, a state-of-the-art science program designed for building inquiry and STEM, and is optimized for learning in the classroom and at home. 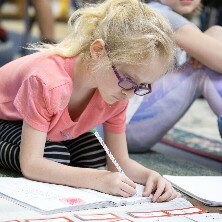 Math in Focus: Singapore Math, considered the best math learning method. The HMH Digital Curriculum includes virtual Labs, hands-on activities, and write-in textbooks. These help to develop important critical thinking skills that prepare students for success. Students will receive a special graduation diploma and notable mention in their records.